Are you travelling through Vietnam and want to know the best way to get from the capital city, Hanoi to Sapa? This guide will help you work out the best way to do it and give you information on how to buy bus, train, or taxi tickets between the two cities. Most tourists to Vietnam start in either Hanoi or Ho Chi Minh City (in the South), the two cities which boast the largest international airports in the country. Noi Bai International Airport has excellent direct flight connections to all over Asia, as well as Australia and Europe. Sapa, located in Lao Cai province close to the Chinese border, is one of the most picturesque towns in Vietnam. The natural beauty has been ever so slightly edited by humans, with the neat rows of the rice terraces on the hills making an unforgettable sight. The surrounding valleys are a great place for trekking, and learning more about the surrounding indigenous tribes. Among these the Hmong, Xa Pha, Giay, Tay, and Dao people. For adventure seekers, it’s also a short distance to Vietnam’s highest mountain, Fan Si Pan. Hanoi and Sapa are located just over 300km apart. 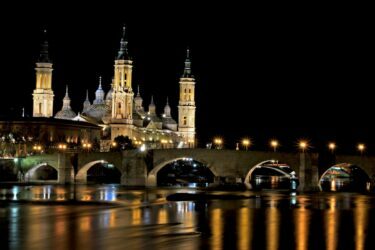 Happily, there are a few different ways that you can travel between the two cities, depending on your preferred method of travel. You can book options online, or wait until you’re in Hanoi to do it directly. Travel in Vietnam is affordable, and the route from Hanoi to Sapa is no different. This is the cheapest option for travelling between Hanoi and Sapa. Prices start at around 250,000 VND (around $11). There are a few different departure points, depending on which agency you travel with, so leave plenty of time to get to the right place. One of the best parts of taking the journey by bus is the flexibility – several agencies offer this route each day, and it normally takes around 5-7 hours. It’s easy to buy bus tickets between Hanoi and Sapa, and most companies offer the opportunity to do it online. Here are some of the agency websites selling bus tickets between the two cities. 12go.asia – a website which offers deals on international travel between Vietnam and neighbouring countries. Great for travelling South East Asia. Baolau – another great option for buying bus tickets for trips in Vietnam and further afield. Reclining, comfortable seats which turns into beds. Great if you’re on a night bus. Cheaper than the train, and far cheaper than a taxi. You can do the journey in one go. Buses are less safe than trains. Keep an eye on your stuff. Although Sapa is one of Vietnam’s most popular tourist destinations, it doesn’t have its own airport. The closest airport to it is actually in Hanoi. Therefore, it’s not possible to fly between the two destinations. You can’t travel directly to Sapa from Hanoi as it doesn’t have a train station. 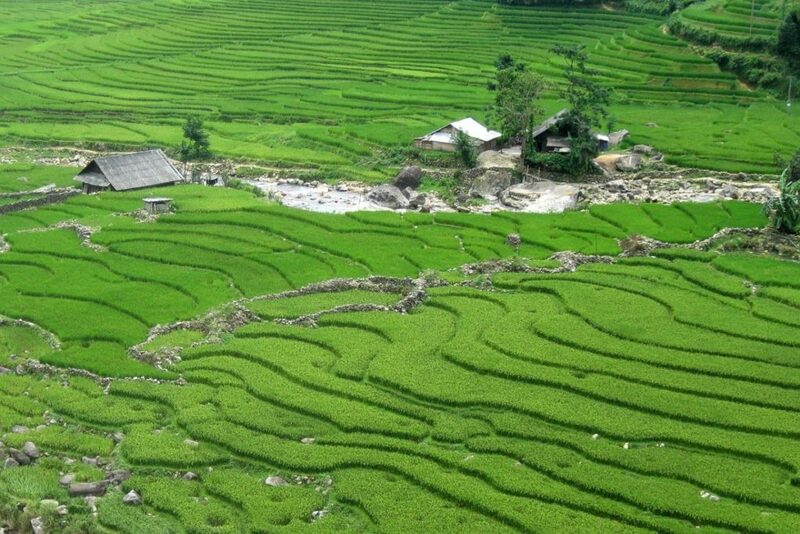 However, you can travel to Lao Cai, before changing to a bus, which takes 50 minutes to reach Sapa. From Hanoi central station, you can take a night train to Sapa which takes at least 7 and a half hours. 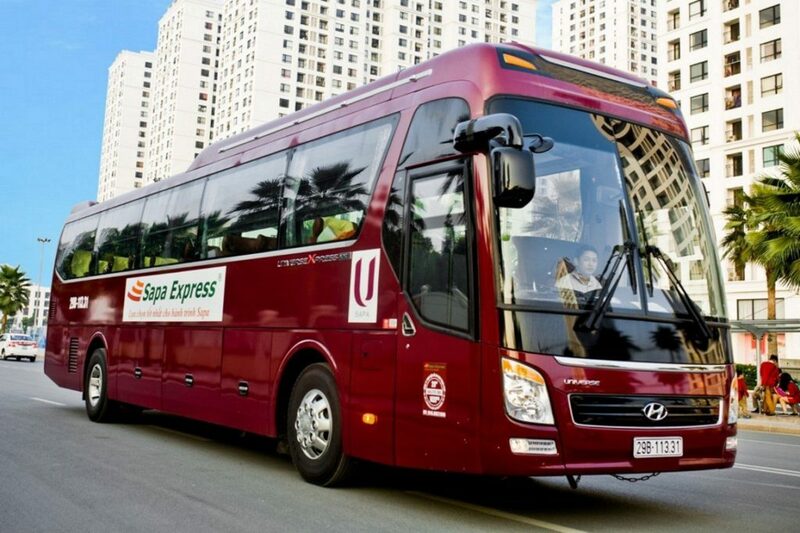 It’s also a more expensive option than the bus, which prices starting at 480,000 VND (roughly $20). For that, you get a fully reclining bed though. 12go.asia – as well as buying bus tickets from this website, you can also compare the prices of train tickets. Very comfortable, and you can get a full bed in a compartment, over a reclining chair on a bus. Sense of excitement and magic riding a night train in a new country. Much more expensive than taking a bus. Journey is in two parts. Most trains operate at night. Another option to travel between Hanoi and Sapa is a taxi, and it shaves the journey time down to just 4 hours and 10 minutes. It’s a good option if you’re in a group but could prove too expensive for a solo traveller. Prices start at 3,700,000 VND (roughly $160) and you can book through 12go.asia or Klook.com , or try to arrange privately in Hanoi. Noble Boutique Hotel Hanoi – an excellent hotel just a short distance to the Hoan Kiem lake, in one of the best places to stay in Hanoi. 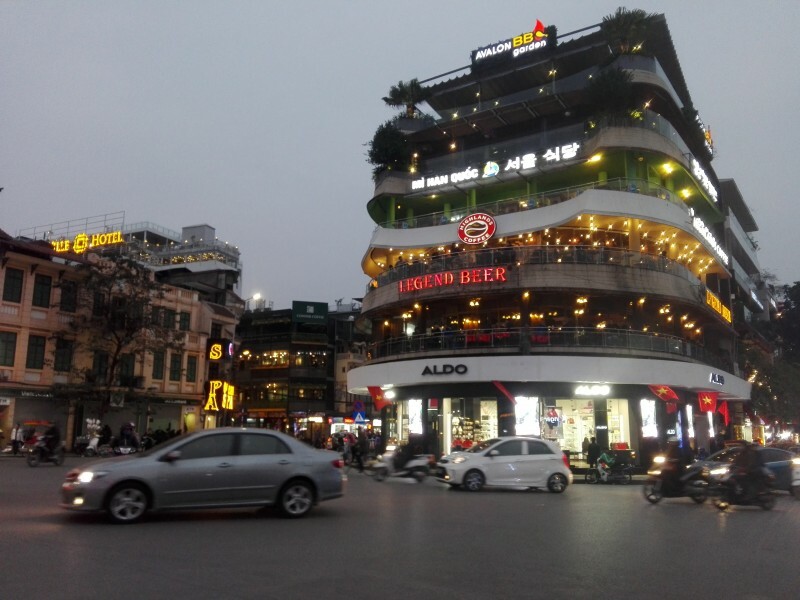 Q Sapa Hotel – a modern hotel in one of the most central locations to stay in Sapa. Heart Of Sapa Hotel – another excellent option to stay in Sapa. If you are traveling in Vietnam you might want to check some of our other guides to Country. 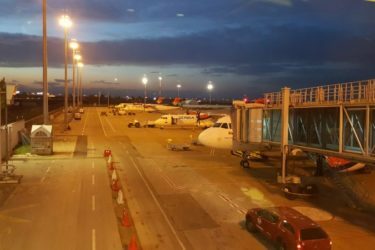 Check how to travel from Hanoi to Danang and how to get from the Hanoi Airport to the city center. Check also where to stay in Danang. Are you in Vietnam or have you already traveled this route? Leave your thoughts in the comment box below.